Glow in the dark paint is so awesome. It's like a surprise every time you hit the lights. I can't tell you how many times I have gotten into bed after a night of crafting and realized at some point I wiped glow in the dark paint on my pajama pants. Always makes me smile. This fun surprise when the lights go out is perfect for Halloween!. 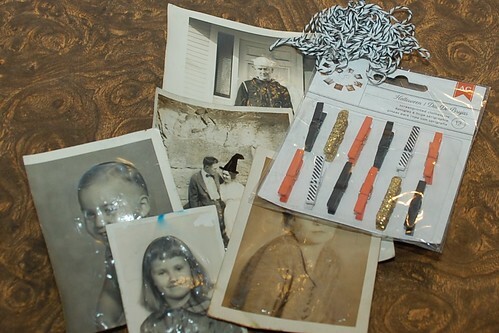 I hoard most everything, vintage photographs included. These old photos were creepy enough as is, but when they became glow in the dark ghosts it really kicked things up a notch. 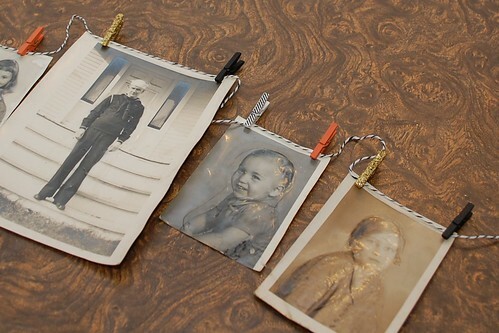 I will say this project would also be really fun to do with family members pictures. 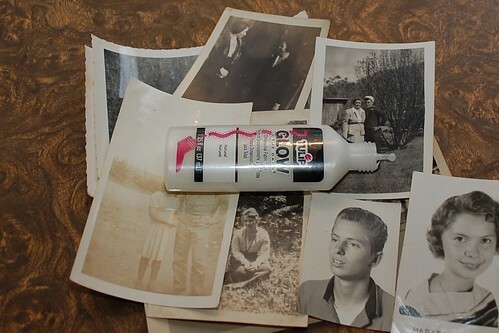 Using Tulip Glow in the Dark Paint and a small paint brush I applied a thin ghost shape over the people in the photographs. I allowed my paint to dry completely. 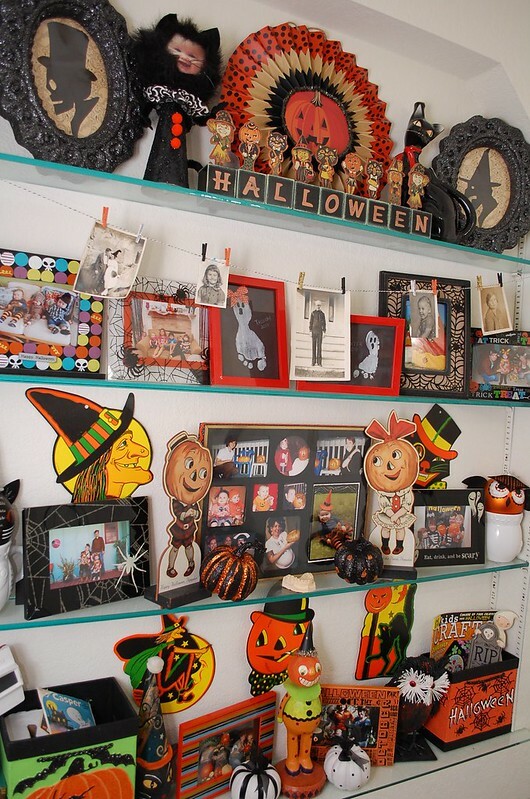 How you display your photos is completely up to you. I opted for the old standby of mini clothespins and bakers twine. 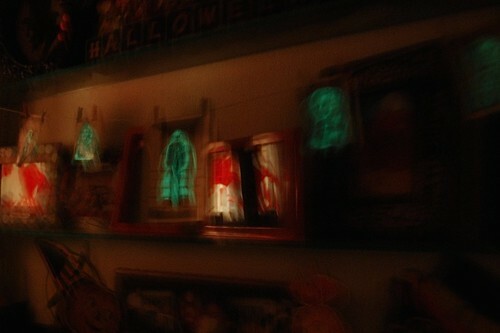 There is a whole lot of Halloween going on in my bathroom already so these glowing ghouls fit right in. Feel free to add a witch hat or fangs so your banner looks spooky with the lights on too. When the lights go off the ghosts come out to play. 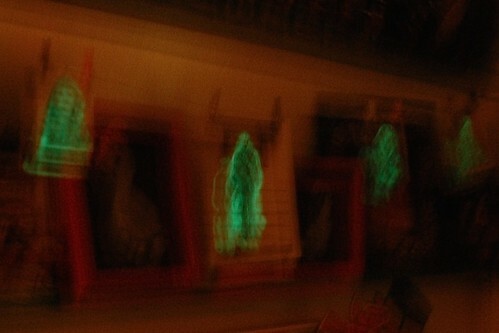 Super tricky to photograph, as most ghosts are, but trust me amazingly eerie and super easy to make. WOW! I love this! I am definitely going threw the old pictures to do this. That's your bathroom?!? Wow! I'd love to see the rest of your house.